Suri and Katie hold hands as they leave a dance studio in Pacific Palisade on Thursday, 30. Suri must have spent a lot of time coloring in pictures, her hands are all stained with marker ink! 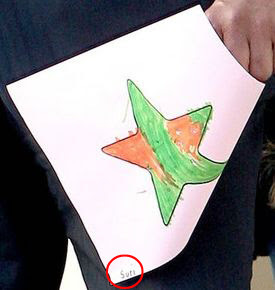 Their bodyguard carried out an orange-and-green star colored in by Suri (her name is in the corner of the coloring). Suri is wearing Toddler Deluxe Leather Ballet Shoes by Danshuz, which she first wore on March 2nd. 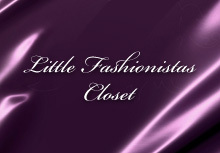 Suri Cruise Fashion Blog is celebrating ONE YEAR of existence! Thanks you all for visiting this blog and supporting me with your nice comments! Suri is running away from her dad while both enjoined the morning walk on Monday, 27. Suri is wearing a gorgeous Green with blue flowers Dress, which looks custom made to me, and the first so this dress on Suri on June 17th 2008. 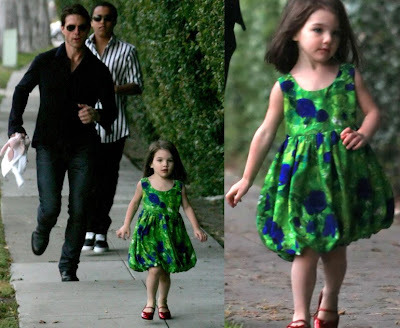 Suri first wore this dress on June 17th 2008. Suri had 3 parties to celebrate her 3rd Birthday..
Suri celebrated her 3rd Birthday at home with her parents and brother & sister! 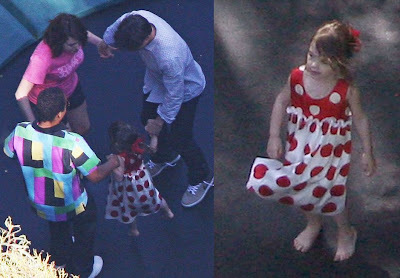 She has a very cute polka-dot dress and looks enjoing herself while jumping on trampoline! cute!!! Suri wore this Denim Outfit by Burberry while leaving Berlin on July 15th 2007. Tom holds Suri's Beige Plaid Coat by Burberry, while Suri visited him on the set of Valkyrie on September 8th 2007. 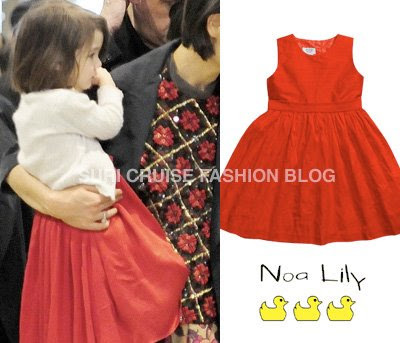 Suri wore this Red Silk Dress by Noa Lily while arriving at Narita International Airport in Tokyo, Japan on March 8th 2009. Suri Cruise celebrated her third birthday with a small gathering of friends and family at home in Los Angeles Thursday afternoon. Parents Tom Cruise and Katie Holmes planned a princess-themed party for their daughter, which included a cake featuring Belle from Beauty and the Beast and a treasure hunt. 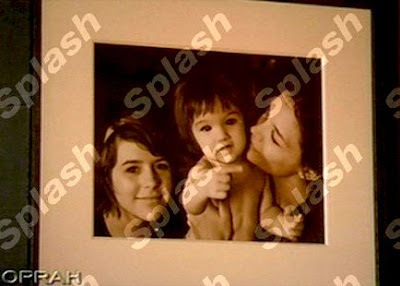 "They just wanted to keep it small and make it fun for Suri and her friends," says a source. Yesterday in Malibu, Katie & Tom and their adorable daughter Suri participated in an Easter egg Hunt with actor couple Goldie Hawn and Kurt Russell. i hope we will see some pictures later... i wonder what Suri wore for Easter egg hunt..? Suri is all business as she is taken by mom Katie to another dance class at a studio in Pacific Palisades on Thursday, 9. Suri puts her best ballet slipper forward as she trains to be a ballerina at a dance studio on Thursday, 2. Readers comment: "Suri seems to be coming out of her shell... those dance classes are a good thing for her." I totally agree! Suri is wearing Striped Dress by Splendid Littles, which she first wore back in September'08. Suri & Katie shopping at the American Girl store on Wednesday, 1. Suri is wearing Pink Ruffled Silk Dress by Juicy Couture. Suri and Katie leave a Scientology Center in Los Feliz, California on Tuesday, 31.
under closer inspection you can see on this picture - Suri is holding a cupcake in her right hand and eating it on the way. Suri is wearing Green Tiered Circle Print Dress by Juicy Couture. Suri covers her ears as Katie takes her to Le Pain Quotidien restaurant for lunch on Sunday, 29.
and i am 99% sure - this dress was designed by Katie and tailor-made.